It was at the end of the 11th century, when the tomb of Christ had fallen into the hands of the Turks. A first crusade was organised to reopen the road to Jerusalem to gain access to the tomb. That is when Hugues de Payns decided to move permanently to the Orient, to lead a troupe of knights whose mission was to protect the pilgrims. In 1120, supported by King Baldwin II, he created the Poor Knights of Christ militia, which was later renamed the Knights Templar, otherwise known as the Order of Solomon’s Temple. Made official in 1129 by the Council of Troyes, the order also received its statutes, influenced by Bernard de Clairvauw. In 1998, archaeological excavations were carried out on the site of Hugues de Payns’ command headquarters. The foundations of a chapel and farm building were discovered, as well as fragments of small columns and tiles. But the most exciting find was a monetary treasure - 708 deniers dating back to the 13th century! Visit the Hugues de Payns and Templiers museums in the centre of the village, and discover or rediscover the history of the Knights Templar. The town of Payns is proud of its history, and not only the Knights Templar episode. This is demonstrated by the Poilu soldier war memorial, commemorating France’s First World War victims who died for their country between 1914 and 1918, and the stele in remembrance of the four French patriots executed on the 22nd of August 1944. And don’t miss the church of the Assumption of our Lady where the nave, transept and steeple tower are all reminders of the flamboyant Gothic style. The Virgin and child and the Pietà date back to the 16th century, and are listed historical monuments. 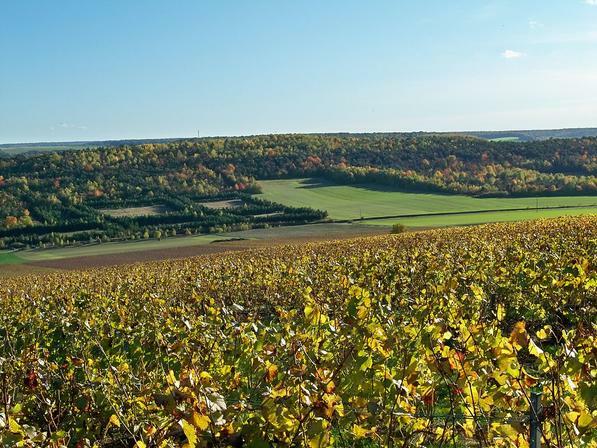 Most famous for its 186 hectares of vines with the Champagne appellation, Montgueux has been known for many years as Champagne’s “Montrachet”. And did you know that the wine produced in Japan is from Montgueux? That’s right! That’s where Charles Baltet, a famous nursery gardener from Troyes chose to experiment. In the 19th century he introduced two Japanese men to the art of the vine, and in 1876 they created Yamanashi vineyard. The vineyard now produces half of the archipelago’s wine! The townships of Fontvannes and Estissac, situated in the Pays d’Othe, are ideal places for tasting...the delicious cider of the Pays d’Othe! Lovely for a walk in a pretty rural setting, both have been named Villes et Villages Fleuris for their fine quality of life. had a was a covered washhouse, the lavoir-halle. Recently restored, the washhouse has wooden beams which recall the famous timber-framed houses in Troyes. The Saint Alban church has a stunning clear view over the hills of Pays d’Othe. The wooden altarpiece, where the Last Judgement is depicted, is the only one of its kind in the area. Fontvannes is also home to several Paleolithic and Neolithic archaeological sites! Bearing the township’s former name, the church of Saint Liébaut dates back to the 18th century, as shown by the neoclassical portal; a very popular style at the time. The church is home to more than ten listed works. And there is also a depiction of a local legend: St Loup killing the salty dragon. It is said that the dragon, vanquished by Saint Loup in the 5th century, was kept in a trunk full of salt, hence its name. From that day on, an annual procession was organised every year until the 18th century, when the salty dragon paraded through the streets of Troyes. It would stop at each of the churches in the town centre. The covered market, a masterpiece of carpentry built in the 17th century, is also worth visiting. There is nothing left of Saint Liébaut castle, but Domaine du Moulin d’Eguebaude is open to visitors. Visit the “open-cage” washhouse or à cage ouverte, adjoining place Caroline. Built in brick by the Vanne river, the architecture is both aesthetic and practical. Finally, according to recent historical and archaeological research, the famous Battle of the Catalaunian Plains when the Huns were beaten in 451, took place around Estissac. Vauchassis is a small village on the edge of the Othe forest. The name originates from Val chassis, due to its situation in a valley and the forests well-stocked with game. This is where the counts of Champagne met to hunt. The houses in the area have conserved their picturesque charm, despite their construction with the simplest materials of the period: chalk and wood. Once topped with thatch, these constructions have stood the test of time, like the historical centre of Troyes. The church of the Assumption was built in the 1750s on the remnants of two churches, destroyed in turn in 1705 and 1749. Despite having been built in the 18th century, the architecture combines details of Baroque and Grecian-Roman antiquity styles, such as the pilasters and pediments around the front portal. The church and a collection of about two dozen objects are listed as historical monuments; these include an 18-century main altar in red and grey marble and painted wood panels. A local anecdote: it was in Vauchassis in 1815 that a priest concocted an infusion based on “sugar and good wine”. He dispensed it to ill people who came to see him. They came from all over Champagne to try his concoction. This energising remedy is still used in the village today. In fact, the Troyes library has two manuscripts of his medical recipes which treated asthma, coughs, daily fevers, not to mention snake bites and tapeworm! A lively township, surrounded by a plain and wooded hill, Laines-au-Bois has an enviable lifestyle. Mandrel Nicolas is an important name for the town, as he was elected Deputy in 1906, but more importantly because he founded the library, La Bibliothèque Démocratique et Populaire, in 1879. Near the town hall you will find the church of Saint-Pierre-ès-Liens which dates back to the 16th century. It is home to several listed elements, such as the flamboyant southern portal, a Pietà and many sculptures of saints from the 15th, 16th and 17th centuries. Two war memorials commemorate the victims of the two World Wars in the village. The monument to the Second World War is a pedestal and fluted column, crowned with the Lorraine Cross. There is a sculpture of four men with thin torsos. Their hands tied behind their back, they stand to face their dreaded fate. Nearby, the township of Souligny is located at the foot of the Montaigu site, with the old Montaigu castle. It is said that Saint Loup used the castle as a refuge to protect the population dispersed by the passage of Attila in 451 and partially decimated by the epidemics that followed. Some even think it was the first home to the long-haired Gallic tribe, the Tricasses who established the town of Troyes. Montaigu castle was the subject of many quarrels between Armagnacs and Bourguignons until its destruction was ordered in 1420, after the Treaty of Troyes. 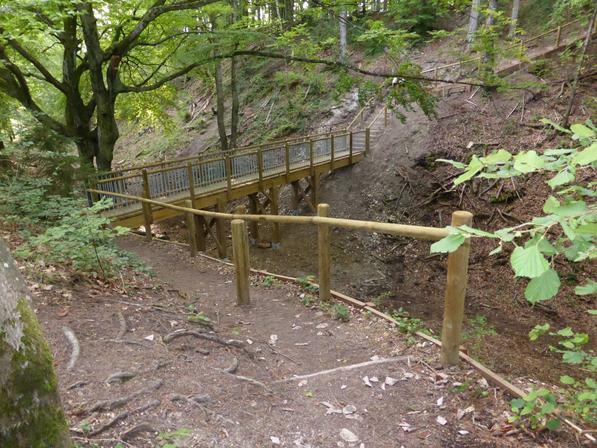 The site has been rehabilitated and is open to visitors. It is said that a secret subterranean tunnel links it with the Troyes cathedral! the township of Souligny is located at the foot of the Montaigu site, with the old Montaigu castle. It is said that Saint Loup used the castle as a refuge to protect the population dispersed by the passage of Attila in 451 and partially decimated by the epidemics that followed. Some even think it was the first home to the long-haired Gallic tribe, the Tricasses who established the town of Troyes. Montaigu castle was the subject of many quarrels between Armagnacs and Bourguignons until its destruction was ordered in 1420, after the Treaty of Troyes. The site has been rehabilitated and is open to visitors. It is said that a secret subterranean tunnel links it with the Troyes cathedral! 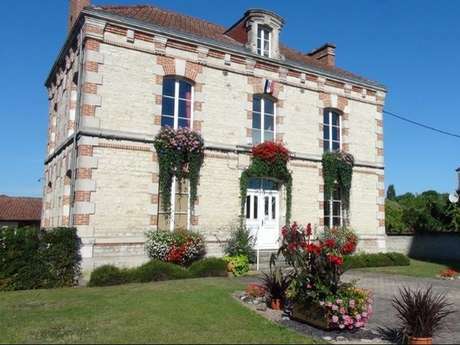 Crésantignes is a rural village in a lush green setting with a variety of architecture including brick houses with timber frames, farm buildings and more modern housing developments, each adding to its charm. 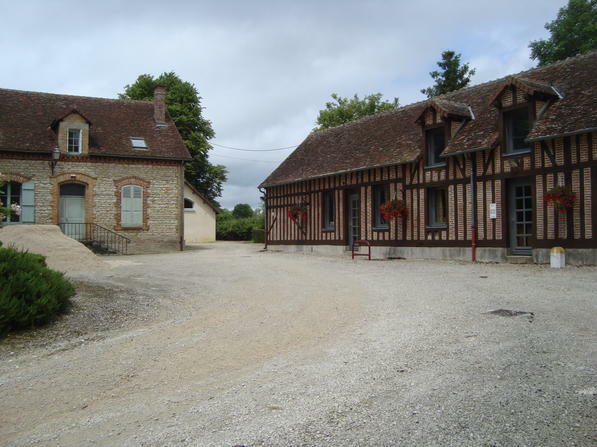 In the centre of the village you can visit a museum with a very original name: the Musée du Passé Simple - the museum of the simple past. The exhibition features tools and utensils from bygone days which recall daily life and customs. Thanks to these collections which are regularly updated, the museum attempts to revive memories of a not-so-distant past. Just 200 metres away, in Ruelle de l’Etang, there is an 1850s washhouse. A brick construction with openings for ventilation, it is in line with the hygiene principals of the period. It is also a reminder of the daily life of the population of Crésantignes. Saint-Sébastien church nearby, built in 1780, is a typical example of 18th-century construction. Certain elements of the rich collection of furnishings are listed. In particular, the polychrome limestone altarpiece featuring the Passion of Christ. Amongst the other listed elements, stop to admire the sculptures of saints, a lectern crowned with an eagle, or the Madonna and child in golden white marble. On each side of the church, there are two black marble plaques in commemoration of the two World Wars which pay tribute to the victims. Situated between the Aumont forest and the wooded hills of the Montaigu site, the village of Lirey is an example of Aube country charm. Admire the typical regional architecture with timber framing, picturesque houses and the washhouse, still visible on the side of the road. Built in 1873, it had an important place in the village’s daily life for nearly a century. The name Lirey is often associated with the story about Saint-Suaire: the shroud in which Christ was wrapped, leaving the imprint of the image of a crucified man. It was conserved in this town between 1353 and 1418. The Lirey collegiate church was built in 1356 to preserve it. It was demolished during the Revolution and most of its furnishings were displaced to other places of worship and museums; such as the altars, now conserved in the London Victoria and Albert Museum. The current church, built between 1870 and 1880, is dedicated to the Annunciation of our Lady. Awarded Villes et Villages Fleuris status for its fine lifestyle, Saint-Pouange, with associations and a library set in abundant greenery, is enchanting. The cultural centre, housed in the former presbytery, is one of the places where Edouard Herriot spent time during his childhood with his great uncle who was parish priest of Saint-Pouange. To the east of the village, in the street of the same name, rue du Lavoir, there is a washhouse with openwork beams. You can just catch a glimpse of the basin used by the washing women from the second part of the 19th century to the second part of the 20th century. In the centre of the village is the Saint-Pouange church, rebuilt to restore it to its original state. The apse dates back to the 12th century, the vault and a window to the 15th...and the building was overhauled in 1854! Some of the sculptures in the collection are listed: the polychrome limestone Madonna and child, or the limestone Saint Sébastien which is suspected to be the work of the atelier of Maître de Chaource. The glass work of Saint-Pouange church dates back to the 16th century, and is also listed. In front of the church is an obelisk on a base, decorated with the Palm of Victory, to commemorate the heroic French victims of the First World War. The townships of Isle-Aumont, Saint-Parres-au-Tertres and Lavau are situated in what is known as “humid” Champagne, due to its climate; a valleyed countryside with fields, forests and copses. Isle-Aumont is particularly renowned for its hillock which bears the scars of the centuries. In the 5th century, during the Merovingian dynasty, it was the site for one of the first Gallic monastic constructions. A castle was built there in the 11th and 12th centuries: Domaine des Comtes de Champagne. In the church dedicated to Saint Pierre, you can catch a glimpse of the Carolingian sanctuary below the choir, and two naves - one Benedictine, the other Gothic. During the 1960s, a necropolis containing a thousand graves was discovered by Jean Scapula, a local archaeologist. With such a collection of listed elements, the hillock is a museum in itself. Saint-Parres-au-Tertres is also steeped in history. For example, there was the discovery of about ten sarcophagi in 1981. The township has been inhabited since the 3rd century! Even its name is suggestive of that era: Saint Parres, buried in the Saint Patrocle chapel, was martyred on the Mont des Idoles hill in 275. 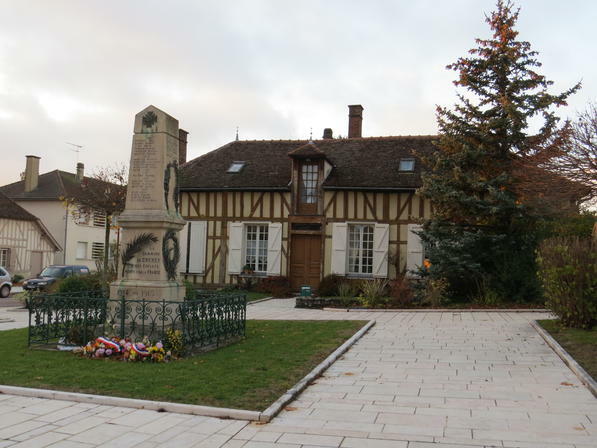 Saint-Parres-au-Tertres commemorates the two World Wars. The monument paying tribute to the First World War was next to the town hall. Destroyed during the Second World War, it was rebuilt in 1950. And don’t miss the church of Saint-Pierre - a hall church! Listed as a historical monument, it is typical of local construction, with the naves and side aisles of the same height and width. With five traverses, it is one of the most extended churches. The flamboyant southern portal has a glass tympanum, and the 16th-century stained-glass windows are also worth a visit! Lively Lauvau is a delightful village. Awarded Villes et Villages Fleuris status for its fine lifestyle, there is a shopping centre and a wide variety of sports and creative activities. In 2014, it was at the centre of national - even international - attention! Archaeological digs revealed a princely tomb dating back to the 5th century. It is located in the heart of a necropolis, created 14th centuries before our time. The deceased, lying on a chariot, was buried in a monumental tomb in a funeral chamber. Many objects( were found with the deceased: gold bracelets, a bronze cauldron, an Attic ceramic piece and many other treasures. Unfortunately, these objects are not yet exhibited, but it is a major archaeological discovery, making Lavau a remarkable historical site. The townships of Buchères and Creney-Près-Troyes have both experienced tragic events, and what’s more, only two days apart. It is a sad memory for the local population who have commemorated the event with different memorials. It was the morning of the 24th of August 1944. A group of Resistance fighters decided to attack an approaching side-car and truck of German soldiers. 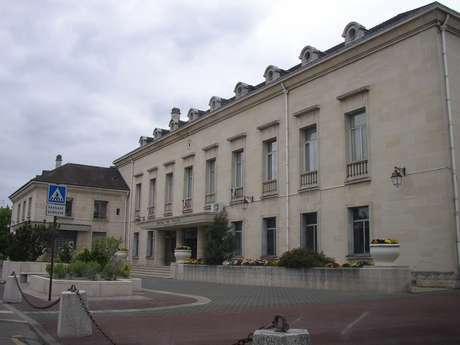 One of the German soldiers in the truck managed to escape, and informed his superiors who were based in the Troyes secondary school. The reprisal was rapid: at around 11.00am, 300 German soldiers turned out to take on 50 Resistance fighters. The enemy infiltrated from every direction and took position. Given the numbers, the Resistance fighters gave in. The battle lasted 30 minutes. The battle was over, but the massacre had just begun. A crazed massacre, killing men, women and children, they burnt everything in their passage. 67 people were coldly executed and 50 homes destroyed in the fires. Today a lantern stands in commemoration of the 67 civil victims. The village had lived through other wars, many years before, as it was also the stage for the Napoleon campaigns in 1814. At that time, the area was occupied by encampments for soldiers attacking the Prussian army a few kilometres away. Now, on a lighter subject... the village church, dedicated to the Assumption of our Lady was built in the 1850s. The neoclassical style is easily detected in the facade and the columns topped with Corinthian capitals. 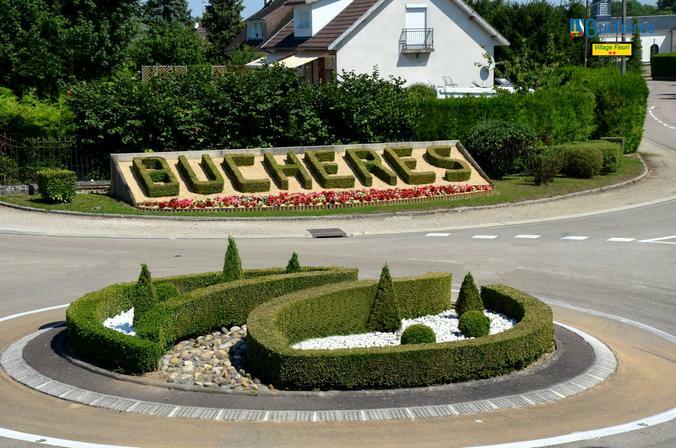 Like Buchères, the friendly Coeurlequins, the name given to the Creney population, also have a pleasant, lively township, where respect for the environment is a priority. The greater part of the town church, Saint Aventin, was built in the 16th century. It has a number of elements on the historical monument list, such as the 16th-century stained-glass windows, the 18th- and 19th-century reliquaries and a 19th-century lectern adorned with an eagle. Next to the church, an obelisk pays tribute to soldiers lost in the 1870, Algerian, and First and Second World Wars. Creney-près-Troyes suffered greatly during the Second World War, commemorated by the war memorial in allée des Martyrs. The sculpture of a shot Resistance fighter stands on a pedestal, with the names of the martyrs engraved on a bronze plaque. And a tree was planted in memory of each victim. Two days prior to the Buchères massacre, the 22nd of August 1944 at about 5.00pm, 49 prisoners were led from Troyes jail to a shooting range, where they were executed without trial by Gestapo SS. Once upon a time it was possible to travel to Lusigny by train; until the 1990s! 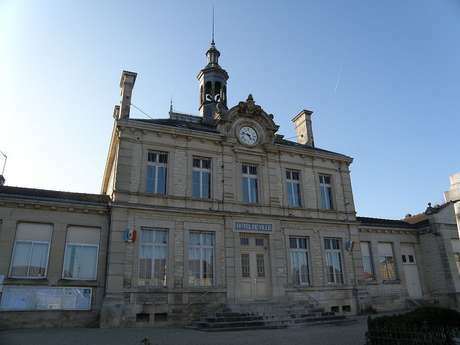 The station is no longer in use, but it was used as the model for an electric train set which is still sold by the company Jouef. It has its own place in posterity! Amongst the important monuments in the town, don’t forget to take a look at the 16th-century church of Saint-Martin and the furnishings, some of which are listed. The vestiges of the Larrivour Cistercian Abbey are also interesting to visit. And when you go through the town, don’t forget to admire the work by Klaus Rinke, Water which pays tribute to Gaston Bachelard. It is one of the four works dedicated to the Elements theme. You can also admire Earth in Mailly-Champagne, Air in Langres and Fire in Chooz. But let’s go back to Lusigny, where a house has a wall pierced with bones, a local particularity the origin of which remains unknown. One legend says the bones belonged to horses killed in the 1814 battle between Napoleon’s troupes and the Prussian and Austrian armies. But it is also said that in some regions it was customary to use bones as tools, for trellising for example, or for conjuring up evil spirits. Despite all these ideas, the question remains unanswered. Take a look and make your own opinion. It is also said that Lusigny gave its name to the fairy tale of Mélusine. But there again, opinions differ! 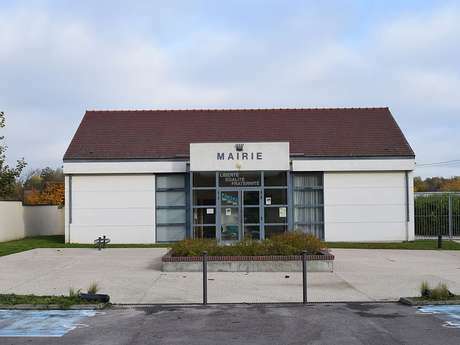 Awarded Villes et Villages Fleuris status for its fine lifestyle, and Pavillon Bleu status for the exemplary quality of its environment, the township of Mesnil-Saint-Père is also a delightful marina. Try sailing or a cruise, laze on the Orient lake (Lac d’Orient) beaches, or enjoy the sumptuous setting on the cycling path, Vélovoie de Lacs. 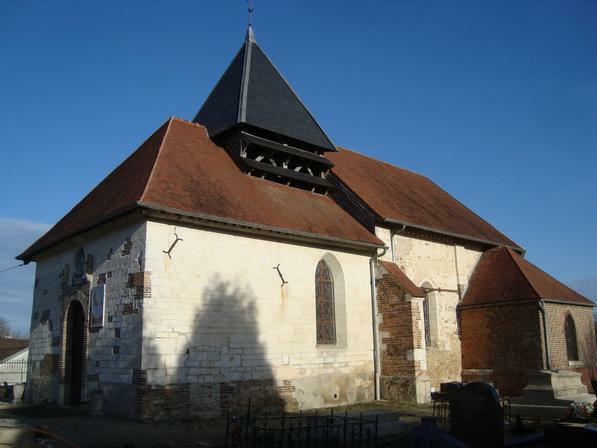 Then make a detour to the church of Saint-André which tells about the town’s life in the 12th century! Listed as a historical monument, it is now closed for security reasons, but you can still admire it from the outside. In the 18th century, Mesnil-Saint-Père was at the centre of the tiling boom. Over thirty tile and brick factories operated in the Orient forest area. They experienced an enormous boom thanks to the use of clay for manufacturing tiles and bricks, used in traditional housing construction. Near the Orient forest lakes there is a forest named Forêt du Temple, which evokes the Order of the Temple. It’s true that these monk-soldiers owned land, woods, lakes, villages and command posts which they often gave very evocative names. 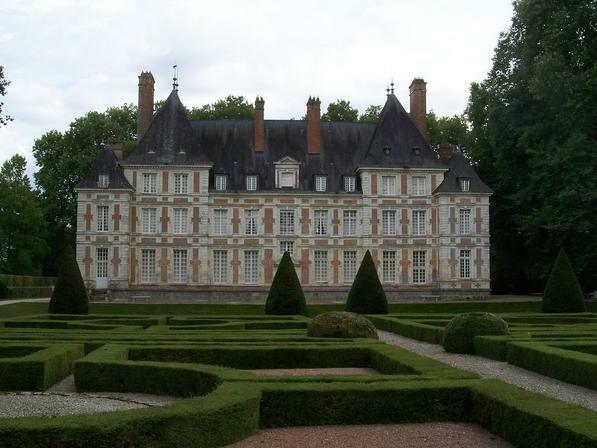 The “Grand Mesnil”, as it was called in the Middle Ages, is a delightful place to live. The many holiday homes are an indication! It is also an ideal place for observing the wildlife of the Orient forest. It is home to a cervid reserve, home to many deer, and is also a migration stop for birds. Nearly 250 species have been observed! The plain surrounding Feuges is typical of the farmland north of the town of Troyes. 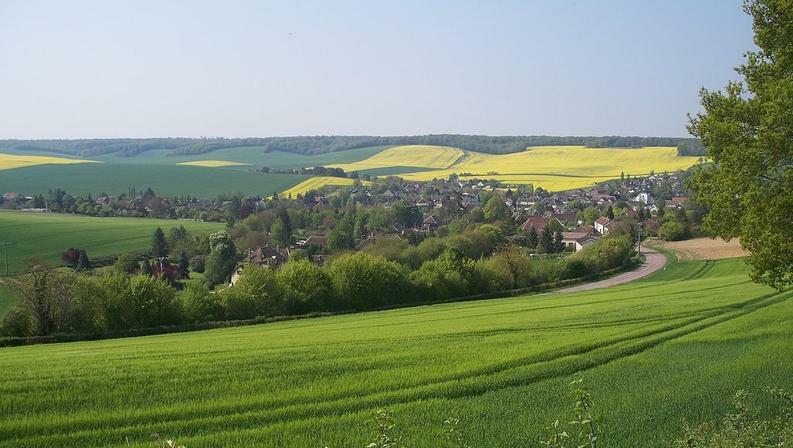 The village is linked to the neighbouring townships of Charmont-sous-Barbuise and Vailly, which can be visited with a short detour. The church of Saint Benoit dates back to the 12th century. It is one of the oldest Roman churches in the Aube area, and its architecture has not been disfigured despite a 16th-century restoration. The glass work and monumental Christ on the Cross, a 16th-century masterpiece made in Champagne, are listed historical monuments. The apse is a reminder of the influence of rural construction on places of worship in the 12th century. Ask at the town hall for opening times! Feuges may not have provided many illustrious men and women to France’s history, but it did count a certain Charles-Michel de l’Epée amongst its residents, better known as Abbé de l’Epée. Parish priest of Feuges from 1736 to 1738, he founded the deaf and dumb institute in Paris and contributed to the improvement of French sign language. 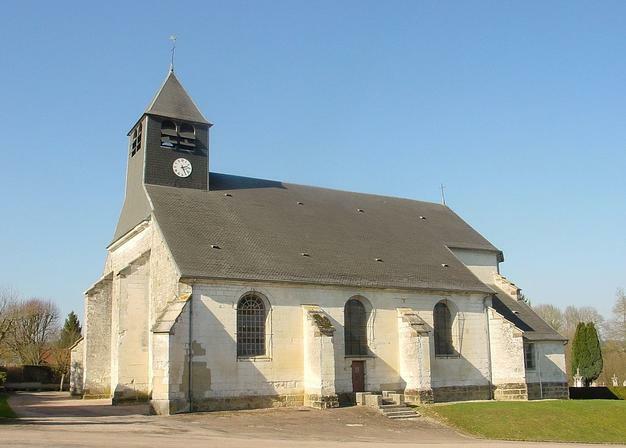 The township of Sainte-Maure owes its name to the saint of the same name, a young Christian who dedicated his life to the religion, and died and was buried here in 850. The church, dedicated to the young saint, is a listed historical monument. The nave dates back to the 15th century and the sanctuary to the 16th century. It has a rich and diverse collection of furnishings, of which over thirty elements are listed. Note in particular the 9th-century sarcophagus, a statue and a reliquary bust...and of course, the stained glass! Stop to visit Vermoise castle on the route to Saint-Benoit-sur-Seine . Dating back to the 16th century, it is listed as a historical monument for its Renaissance facade and the keep roof. Today it is private property and run as a guesthouse, where you can stay or organise a reception. Saint-Maure also has an early 19th-century castle in the middle of a treed park which is now home to an agricultural college. In the entrance, there is an atlas that came from the Villacerf castle, about 8 kilometres away. As you leave the village, heading towards Barberey-Saint-Sulpice, you cross the Haute Seine canal. A project initiated by Napoleon the First when he passed through Troyes in 1805, it was originally planned to link Paris with Burgundy. Digging was completed in the middle of the 19th century. From then, barges travelled regularly between Troyes and Paris. They transported a range of goods, including hosiery, wine, wood for heating and coal. The canal was operational until 1957, before being removed from the list of navigable waterways. A few years ago, a greenway was created on the former towpath. 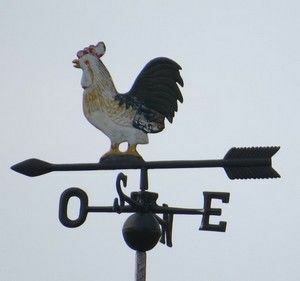 It goes all the way to the village of Saint-Oulph, on the border of the department. Take a walk or cycle along the path and be surprised by an unexpected historical monument: the cast iron canal-bridge designed by Pierre-Olivier Lebasteur, built in 1846. Listed in 1980, it is a symbol of the boom of metal constructions in the 19th century. Built in 1626 for Jean le Mairat, a prominent citizen of the seigneury of Barberey, the Barberey-Saint-Sulpice castle has two prestigious accreditations. The first: Jardins Remarquables for its remarkable gardens, awarded to the re-landscaped park in 1965 which is open to visitors in summer. The second: a listed historical monument, awarded to the Louis XIII-style castle for its roof and facade. Four wars are commemorated in Barberey by a sculpted Poilu soldier bust and several plaques: the 1870-1871 war, the First and Second World Wars and finally, the Indochina war. Located 9 km east of Troyes in the Champagne wetlands, the village of Rouilly-Saint-Loup dates back to the 7th century when it was known as Rulliacum, then Rouilly. In mediaeval times, Rouilly, Menois and Rouillerot were three separate communes. Rouilly was once ruled by the “castellan” (or governor) of Isle-Aumont. Thibaut I of Champagne, and later his son Hugues, gifted part of their lands and rights to the Abbey of Saint-Loup in Troyes. The abbots held vast swathes of land in Rouilly, so it comes as no surprise that the village was renamed Rouilly-Saint-Loup in the late 13th century. Menois was also governed from Isle-Aumont, but Rouillerot belonged to the manor of Montabert. The three hamlets were merged to form a single commune during the French Revolution. The Latin cross-shaped church is dedicated to Saint Donat. The church was first built in the Romanesque style in the 12th century, but a double transept was added in the 16th century. The western entrance features a charming wooden porch and the building has several 16th-century stained-glass windows and a bell-tower dating from 1556. 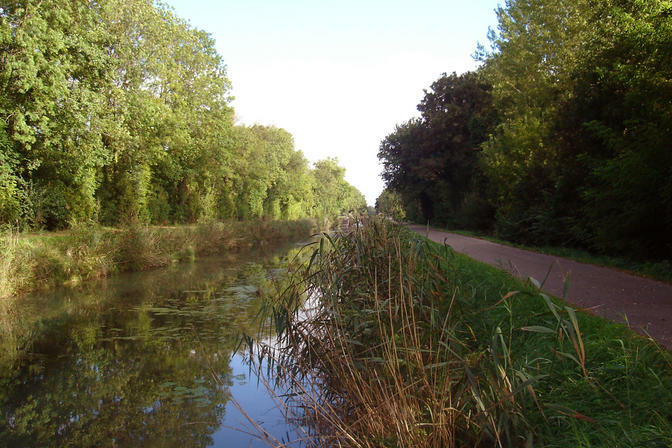 This charming commune is a great starting point for walks and cycle rides along the Baires and Saint-Julien-les-Villas canals, or the Vélovoie des Lacs, a 51 km-long cycle trail that links Troyes with Dienville in the Forêt d’Orient Regional Nature Park. Its prime location means that Rouilly-Saint-Loup’s residents enjoy a stunning, peaceful natural environment interspersed with meadows, pastures, woodland and lakes, just a stone’s throw from Troyes city centre. The village of Saint-Germain is located on the south-western outskirts of Troyes. It was previously known as Linçon, then Saint-Germain-Linçon. It comprises the main village plus three hamlets – Lépine, Linçon and Chevillèle. Originally it was little more than a manor belonging to the Abbey of Notre Dame aux Nonnains in Troyes. Hugues of Champagne, and his grandson Henry II, donated various properties to the abbey. 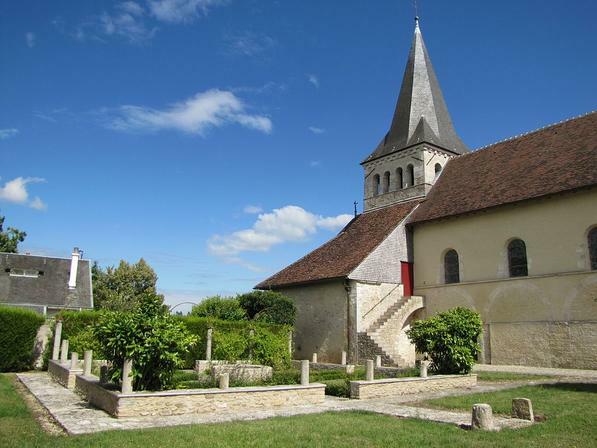 Back then, each hamlet had its own church – Saint Barthélémy church in Lépine, Saint Germain church in the modern-day village, and a church in Linçon that has long since been destroyed. The founding of Saint-Germain is steeped in legend. Saint Germain of Auxerre is said to have set off for Troyes to visit a friend, encountering two beggars on the way. The first pretended to be dead and the second asked Saint Germain for some money so he could bury him. Saint Germain handed over the money without a second thought. But once he had left, the beggar who had been faking death turned out to have actually died. His distraught accomplice ran after Saint Germain, admitted it had all been a fraud, and begged him to bring his friend back to life. Saint Germain went back and revived the beggar. The most striking building in the commune is the 16th- and 17th-century church dedicated to Saint Germain of Auxerre. It has certain unique features. The previous tower collapsed in 1936, destroying the vaulted roof above the nave. It was restored to a smaller size. The building, which comprises the choir and apse spans, is accessed via a main entrance porch leading onto an internal courtyard. It is an excellent example of a restoration project that respected the original architectural style. The church houses a number of important examples of 16th-century Champagne-school sculptures, as well as several stained-glass windows from the same period, including one depicting the Tree of Jesse and another showing the Passion. The commune also has plenty of outdoor spaces, including the Saint Germain lake and the Pâtures de Servet marshes, which are home to protected plant and animal species. It is a great place to live, with extensive services, a vibrant social, cultural and sporting scene, and a range of leisure and relaxation facilities. The commune of Saint-Julien-les-Villas, lying to the south of Troyes, was once known as Sancey. It changed its name to Saint-Julien because the relics of Saint Julian of Brioude are housed in its church. However, the locals still refer to themselves as “Sancéens”, from the commune’s previous name. The words “Les Villas” were suffixed to the name in 1919 because of the many residences that sprung up there since the 17th century. The commune’s history is closely intertwined with the River Seine and its many diversions (a masterpiece of water engineering performed at the time of the Counts of Champagne). The water was the commune’s lifeblood for hundreds of years. The Knights Templar also had a major influence on the commune. They owned a manor house next to the church, on the opposite side of the river. The Château des Cours and its vast grounds, sweeping down to the banks of the Seine, were a source of great local pride from the late 17th century. Originally, Jacques Remond, lawyer and adviser to the king, purchased a modest-sized house standing on a plot of land known as the “Cours Arpents”. His son, Nicolas, decided to knock down the existing property and built a grander residence. The work was completed in 1678. The château’s heyday came during the Age of Enlightenment, when famous names such as Charles Perrault, Jean de la Fontaine, Boileau and Fontenelle stayed there regularly. It became a hotbed of culture, drawing together some of the era’s greatest minds. The crumbling château was demolished in 1945 and replaced with a housing estate by the same name. The village was ransacked by the allies during the 1814 campaign in north-east France. In the Second World War, the commune was the site of several heroic acts, especially during the liberation of Troyes, when the resistance blew up the railway lines and disrupted the occupying forces’ transportation networks across the region. A 4 km memorial road was opened in early 2017 to pay homage to the heroism of local resistance fighters. Other points of interest include the 16th-century St Julien de Brioude church (listed as a Historic Monument in 1981) and its 19th-century painted murals, and one of the largest factory outlet sites in Europe (Marques Avenue), which attracts millions of visitors each year. The commune of Saint-André-les-Vergers stands to the west of Troyes, among a patchwork of orchards and canals. Its history can be traced back to L’Ile Sainte Germaine, a place in the marshes where abbot Frobert of Troyes founded the Benedictine Abbey of Montier-la-Celle in the 7th century. Until the 12th century, it was one of the most importantly abbeys in Champagne and the Kingdom of France. It was demolished in during the French Revolution when its stones were plundered. Only a few pieces of the abbey remain, including one side of the entrance porch, part of the outer wall, and the dovecote. There is no evidence to suggest that the village existed back then, since there is no mention of it in the abbey’s records. 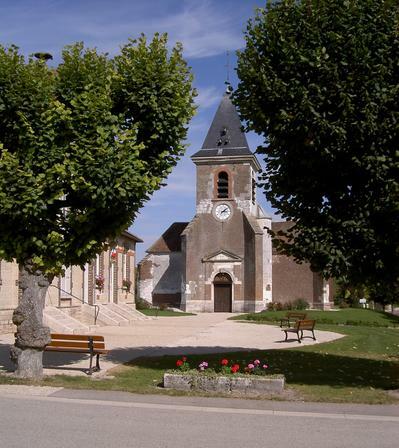 The first recorded mention of the village of Saint-André dates back to the 16th century, when its church was built. The village was renowned for its fruit, vegetables and orchard produce and, in 1559, the municipality of Troyes granted residents the right to sell their wares at a market on a street known at the time as Rue de l’Epicerie. The suffix “Les Vergers” (“the orchards”) was added to the village’s name by decree on 4 February 1919. The commune only began expanding in earnest in the 1930s when fashion workshops opened there as the mechanical textiles industry grew (including the Valton and August Roger knitwear companies). It experienced another period of growth after the Second World War when a major metal post factory opened in the commune. This brought new shops and services to Saint-André-les-Vergers, and the urbanisation movement attracted a new, much younger population. No visit to Saint-André-les-Vergers is complete without admiring the 16th-century church dedicated to Saint Andrew the Apostle. It is noted for its vast aisle, its tall, slender spire, and its Renaissance-style main door (known as the “Portail des Maraîchers”), which dates from 1549 and was funded by local people to represent the commune’s main activity – growing fruit and vegetables. There is plenty to see inside, too, including several examples of 16th-century Champagne-region sculpture, an altarpiece depicting the Virgin Mary, a Eucharistic tower, and stunning 19th-century stained-glass windows. The church was listed as a Historic Monument in 1840. The commune also has many outdoor spaces such as the Viennes valley, a popular walking spot for its abundant plant- and wildlife, and the valley of Fontaine Saint-Martin, a strip of green among the surrounding built-up areas. Saint-André-les-Vergers has vibrant cultural, sports and social scene, making it an appealing place to live. The commune of Sainte-Savine, on the outskirts of Troyes, is a place steeped in history. It is named after Sabina, a young Greek woman from the island of Samos. Legend has it that she came to Gaul in the late 3rd century AD to search for her brother, Sabinian, who was converting the residents of Troyes to Christianity. As she arrived on the outskirts of the city, she is said to have heard that her brother had been martyred, died of grief on the spot, and was buried where she fell. In the 7th century, Ragnegesilus, Bishop of Troyes, who was particularly devoted to Sabina, ordered an oratory to be built on the spot where she had died and was later buried there himself. The village of Sainte-Savine grew around the site, where the present-day church stands. Later the commune suffered immensely during the Wars of Religion. Crops were destroyed, homes were burned and residents were robbed by looters. Sainte-Savine began expanding in earnest in the mid 19th century, buoyed by Troyes’ flourishing knitwear industry and its position close to the railway line. Many of the buildings that sprung up at the time – including residences such as the Villa Rothier, factories and workshops – remain a key part of the commune’s identity to this day. The authorities are actively engaged in preserving and promoting this built heritage. Aside from the vestiges of its industrial past, the commune has many other iconic sites. 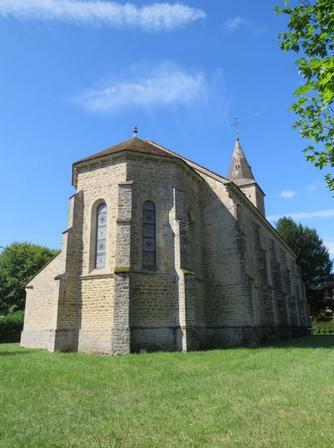 The Sainte Savine church – built in the 16th and 17th centuries – features a low nave with eight spans, wide aisles with side chapels, and a small apse at the end. The entire building is consistent in appearance. The main entrance, which dates from 1611, is arranged in the conventional Corinthian style. It was built by the Baudrot brothers, master stonemasons. Inside, the stained-glass windows are superb examples of early 16th- and early 17th-century glasswork. The church also contains a few examples of later, 19th-century additions, including pieces by Vincent Larcher and de Hugot, both Troyes stained-glass artists. It is also home to the presumed tomb of Ragnegesilus, Bishop of Troyes, topped by a carved wooden box dating from the 16th century. The Sainte Savine church and its stained-glass windows were listed as Historic Monuments in 1921. 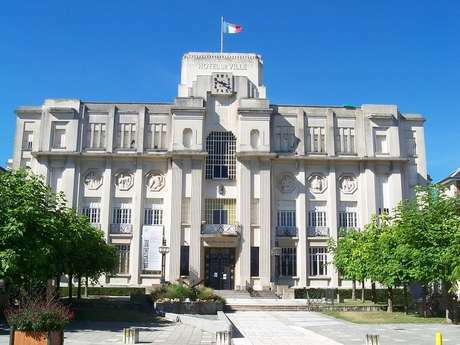 In addition to its 19th-century heritage, the commune is home to a stunning example of Art Deco architecture in the shape of the façade of the former town hall. The imposing structure, with straight, geometric lines and built with new materials such as reinforced concrete, is typical of the Art Deco movement. It was listed as a Historic Monument in 2007 and, after being restored and renovated, is now home to the Art Deco Cultural Centre. The first mention of La Chapelle-Saint-Luc dates back to 1147, when it belonged to the Counts of Champagne. For centuries it remained a small rural commune in the Seine valley, with a handful of houses congregated around the church. In 1270, Thibaut IV of Champagne opened a Cordeliers Convent in the village. Its members continued to live at the home, known as “La Cordelière”, until the mid-17th century, when it was sold to the Priory of Foissy. The seat of the diocese was at Saint-Sépulcre, now the village of Villacerf. It belonged to the Foolz family for several centuries. La Chapelle-Saint-Luc began expanding in earnest in the 19th century, with the opening of the Malterie de Champagne (Champagne Malt-house) and the Compagnie des Chemins de Fer de l’Est (Eastern Railway Company), making it one of the most important communes in the Aube département. The commune suffered extensive damage during the Second World War. The Resistance forces destroyed the roundhouses (where trains between Troyes and La Chapelle-Saint-Luc departed) in 1943, and it came under heavy aerial bombardment in May 1944. Some of the town’s sites of interest survive to this day, however. 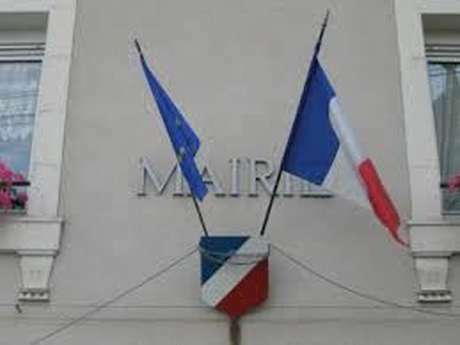 These include the Malterie de Champagne, founded in 1883, where barley was converted into malt to make whisky and beer. The malt-house lost half of its business after the Second World War and ultimately closed its doors. The building, bought by the commune in 1994, is a typical example of local industry and late 19th-century architecture. It has since been converted into houses. In 2000, the Musée de l’Ancienne Malterie de Champagne (Museum of the Former Champagne Malt-house) opened on the site, preserving the memory of everyday work, life and transport in the early 20th century. A few hundred metres away, in the old part of town, stands the Saint-Luc church – a flamboyant Gothic building built in two separate stages. The apse, transept and eastern span date from 1531, while the remainder of the span and the western façade were added in 1579. The church was pillaged in the 19th century and many of the statues were sadly lost. Locals flock to the 7-hectare Parc Pierre Pitois on sunny days to enjoy the petting zoo, flower greenhouse, exotic-plant greenhouse, seven ponds and play and relaxation areas. The park is a haven of peace and tranquillity for people of all ages. Being so close to Troyes, La Chapelle-Saint-Luc is the perfect blend of the great outdoors and pleasant urban life, having been awarded three flowers by the “Villes et Villages Fleuris” (Towns and Villages in Bloom) mark. The village of Laubressel stands on the Balcon du Lac route, overlooking the forest to the south, the plan to the north, and Troyes to the west. It is situated within the Forêt d’Orient Regional Nature Park. It is a countryside village with picture-postcard half-timbered and cut-stone houses that appear not to have aged with time. The village takes its name from Arbrosellum, which comes from the Latin word for “tree” (meaning a “small tree” or a “small wood”). Despite its rustic, peaceful appearance, the village played host to fierce fighting on 3 March 1814 during the campaign in north-east France, when Napoleon’s troops, led by Marshal MacDonald and General Rottembourg, faced off against the Russians. The violent battle is recorded in a painting by Jean-Charles Langlois, held at the Dosne-Thiers Foundation in Paris. The Church of Notre Dame de l’Assomption appears in the background of the battle scene. Construction work on the church began in the 16th century and was completed in the 19th century with the addition of the brick-built porch. It was listed as a Historic Monument in 2003, along with its 16th-century stained-glass windows. The vaulted ceiling, with numerous projecting ribs, makes the structure all the more dynamic and impressive. The church also houses a jewel of Champagne-region multi-coloured wooden sculpture – Saint George on his horse slaying the dragon. Dating from 1470/1480, it is an exquisite example of the region’s expertise and an important piece of Christian iconography. Just a short distance from the church is a stunning Saint George’s cross dating from 1664. Now restored and listed, it once stood in the middle of the cemetery. And lastly, again near the church, there is a First World War memorial featuring a palm. Bucey-en-Othe is one of the most picturesque villages in Pays d’Othe. It lies 17 km from Troyes, nestled in a valley at the source of the Bucey stream and surrounded by stunning forest. The earliest records of the village date back to the 12th century, and excavations have uncovered evidence of a settlement here in Gallo-Roman times. The hamlet of Chaast is probably the Gallo-Roman site from which the village sprung. Bucey-en-Othe became a parish in the late 12th century. The village’s extensive heritage is a source of local pride. The 16th-century Latin cross-shaped church, dedicated to Saint Jacques, is believed to be on the site where the chapel of a former castle once stood. Inside, there are a handful of statues from the 16th-century Troyes sculpture school, fragments of stained-glass windows from the same era, and a modern window given as a gift by the village’s residents in 2008. Another site of interest is a 16th-century farm and château in Les Roises that was once a fortified residence, as evidence by its moats. The property comprises a main residence and several outbuildings. Long abandoned to the elements, the building has been carefully restored in recent years. A short distance away is the Les Roises wash-house, built in 1880 and supplied by the Bucey stream. This long, red-brick building has eight windows and is typical of the architecture of riverside wash-houses. On the road heading towards Vauchassis stands the stunning dovecote of Grand-Chaast, which dates back to feudal times and has now been restored to its former glory. Bucey-en-Othe stands in the middle of the forest, with plenty of signposted woodland footpaths from the village. 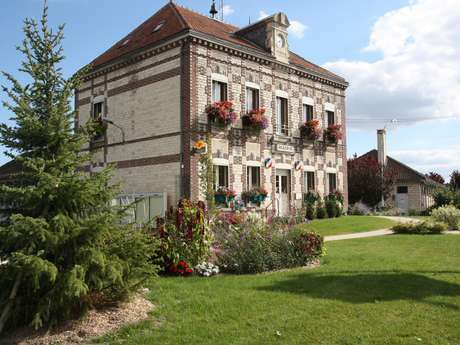 With its buildings typical of the Pays d’Othe style, rich history, flower-lined streets and peaceful environment, the village is renowned for its gentle way of life. Just 11 km from Troyes, the charming village of Moussey stands on a gently sloping, fertile hill that descends down into the Hozain valley. Formerly known as Mulciacus, the stronghold of Moussey was owned by lords loyal to the Counts of Champagne from the 11th to the 14th centuries. In 1388, it became part of the manor of Villebertin. Several centuries later, in 1793, the former village of Savoie was merged into the commune of Moussey. Some of the original houses, constructed from wood and wattle and daub, remain to this day in the village. Brick-built homes first appeared in the 19th century. The Romanesque church, dedicated to Saint Martin, stands in the centre of the village. It was built in the second half of the 12th century and became a listed Historic Monument in 1926. The small church features three naves covered by a ceiling and a semi-dome apse with only sparse architectural detailing. It is remarkable for its starkness. The closed porch with Cistercian-style columns is covered by a lean-to roof whose structure rests on the western gable wall. Inside, there are fragments of stained-glass windows and a 16th-century statue, both listed as Historic Monuments in 1913, along with a 19th-century barrel organ, itself listed in 1980. On the commune’s territory stands the Château de Villebertin, now privately owned. Once the feudal castle, it was rebuilt in the 18th century. 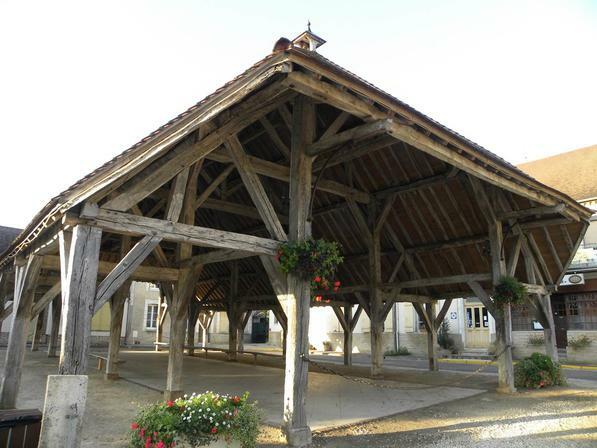 It is a remarkable site, together with its timber-framed outbuildings, mill and stables. On the site of the former Saint Martin spring, on the road heading towards Chaource, stands the wash-house. Built in 1861, it has now been restored to its former glory. 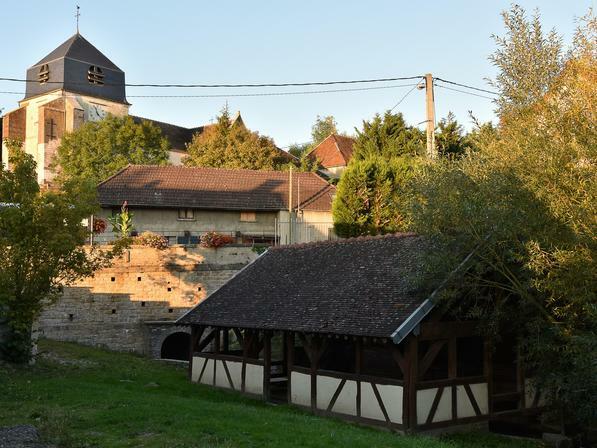 The peaceful village of Verrières sits along the banks of the meandering Seine. The hamlets of Saint-Aventin and Saint-Martin were merged after the French Revolution to form the present-day village. Verrières has experienced plenty of tragic episodes throughout its history. During the campaign in north-east France, Austrian cavalry troops waged battle there in February 1814 and again in July 1815. More recently, during the Second World War, a Royal Air Force bomber was shot down by a German fighter plane over the village at 3 am on 26 July 1944. The pilot is said to have deliberately manoeuvred the stricken plane to avoid hitting the village. The five deceased crew members are all buried in the village cemetery. The St-Pierre-et-St-Paul church, dating from the 16th century, is a simple and graceful building standing by the roadside. The Latin cross-shaped church was listed as a Historic Monument in 1937. Its stained-glass windows, from the 16th-century Troyes glass-painting school, were listed in 1894. The western entrance door features an elegant sculpted tympanum dating from around 1530, depicting the Coronation of the Virgin by the Holy Trinity. It is surrounded by an ornament showing various scenes of David and the lion and Samson and Delilah, plus plant and other ornamental details. It is a stunning example of local sculpture, and was made a listed Historic Monument in 1909. Next to the church stands a war memorial atop a pedestal, with a laurel wreath and a military cross – a tribute to those who lost their lives in the First World War. 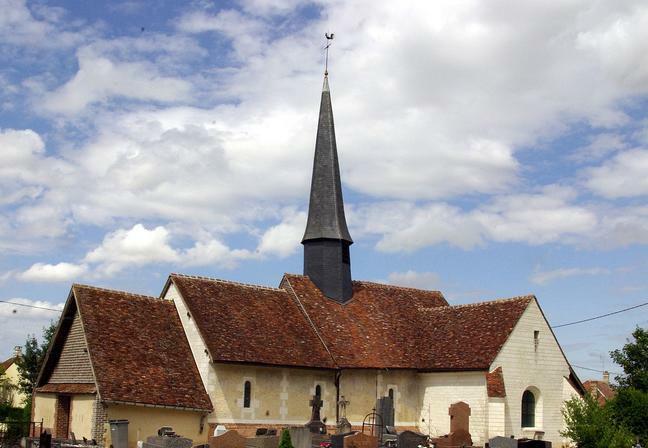 On the outskirts of Saint-Aventin – a former parish that was merged with Verrières – stands a Romanesque chapel dating from the 12th century. It was later altered in the 16th and 19th centuries. The chapel was listed as a Historic Monument in 1926, along with much of its furniture, sculptures and other religious items. Legend has it that a hermit once lived here and saved a wounded bear. He is depicted alongside the bear. The charming village of Saint-Lyé extends along the Seine and the former Canal de la Haute Seine. It is surrounded by the chalk grasslands of Champagne, with meadows blooming with a myriad of colours in every season. This ancient village is steeped in history. It was once known as Mantenay, the name of a former abbey founded in the 6th century by St Romain. It later became Saint-Lyé, the name of the abbey’s second abbot, who died there. The kings of France built a castle on the site where the abbey once stood. In the 12th century, Louis VII gifted the village and the castle to Mathieu, Bishop of Troyes. In 1315, Louis X of France and Clementia of Hungary were married in the castle’s chapel. Thereafter the village was the residence of the bishops of Troyes, who owned it until 1790. All that remains of the castle is the shell of the dovecote, which is located on Place de l’Église. The church stands proud in the centre of the village. Dedicated to Saint Lyé, it has been a listed Historic Monument since 1972. The spire, nave and the central section of the main entrance door date from the 11th century. The other part of the door dates from the 12th century. The remainder of the building is newer. Inside, it contains a wealth of items, including around 20 listed Historic Monuments. These include stunning sculptures, a stone bas-relief depicting scenes from the life of the Virgin Mary, and a carved wooden reliquary designed to hold the relics of the church’s patron saint – all dating from the 16th century. Next to the church there is a square column atop which stands a winged victory – a tribute to those who died in the two world wars and the Algerian War. 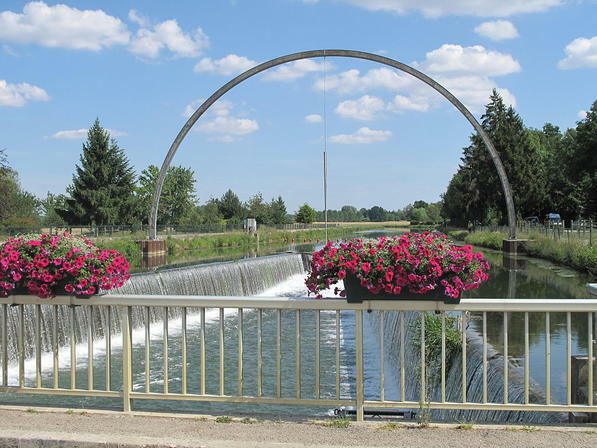 Saint-Lyé and the nearby hamlet of Grange-l'Évêque have been awarded one flower by the “Villes et Villages Fleuris” (Towns and Villages in Bloom) mark. Pont-Sainte-Marie stands on the outskirts of Troyes, alongside the old Seine, which marks its natural boundary. The commune has a long history. During the Gallo-Roman area, Pons Sancte Mariae was an important crossing point. It was the only bridge across the river to the north of Troyes and was therefore a major crossroads for several Roman roads. 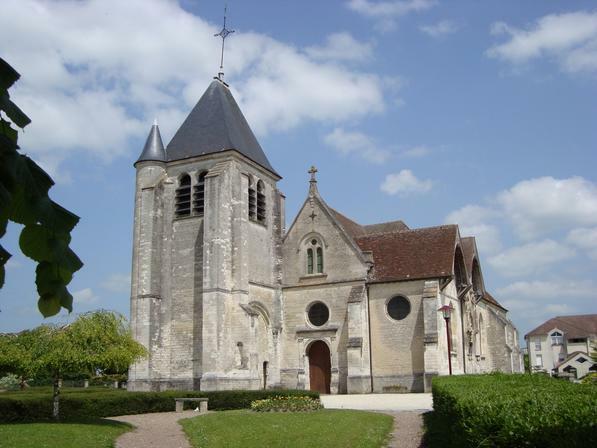 In the 12th century, the village was owned by the canons of Saint Etienne collegiate church. The hamlet of Pont Hubert, which was part of the commune and linked it to the city of Troyes, was brutally pillaged in February 1814, the day after the Battle of La Rothière, by the allied troops fighting Napoleon’s forces. The Church of Notre Dame de l’Assomption is a particularly stunning sight, with its 33-metre-high bell-tower – built in the 16th century and listed as a Historic Monument in 1895. The church has three aisles, and three doors similar in construction but with elegant details that indicate markedly different influences. The 16th-century stained-glass windows, also listed as Historic Monuments in 1894, stand testament to the Troyes region’s prosperous glass-painting industry at the time. One of the windows, attributed to renowned Troyes-based master glass-maker Linard Gonthier and dating from 1590/1593, features an allegory of the struggle between Catholics and Protestants. The commune is known for its stunning environment and exceptional way of life. It has been awarded two flowers by the “Villes et Villages Fleuris” (Towns and Villages in Bloom) mark. The 14-hectare Parc Lebocey, with its remarkable arboretum and nature reserve, is a prime example of the commune’s sustainable development policy. 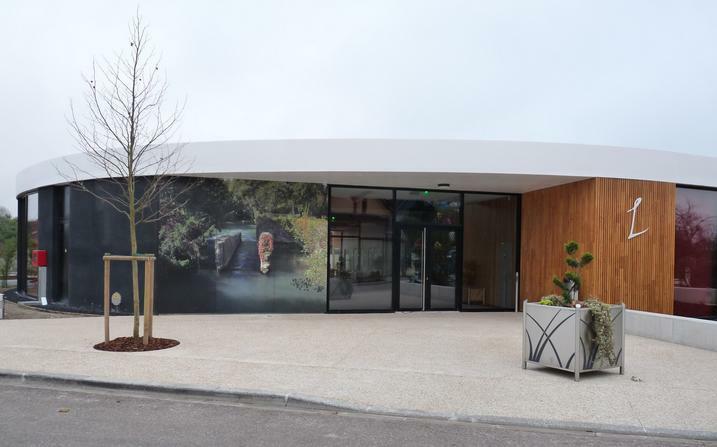 The commune has also created a 23-hectare eco-district – a housing estate built entirely from wood – on the site of the former Moulinet camp, the first of its kind in the Aube département. Moreover, it is home to a thriving business community, including the McArthurGlen factory outlet village, which draws in more than 2 million visitors each year. The green, rustic village of Saint-Jean-de-Bonneval stands nestled in the Aube countryside to the south-west of Troyes. Proudly standing at its centre is the imposing church, dedicated to Saint John the Baptist. Constructed between 1826 and 1830, it replaced an older building that collapsed in 1818. It was the work of a Troyes native, architect Martin-Pierre Gauthier, who designed the Hospices de Paris and the Louvre. He was a member of the Académie des Beaux-Arts and designed the church in the style of Romanesque basilicas. The single span is flanked by lower sections, separated from the nave by Tuscan columns and high windows. Some of the items housed inside the church are listed as Historic Monuments, such as the sculptures of Saint Nicholas, Saint Syra, Saint John and Baptist and a Virgin Mary with child, all examples of the 16th-century Champagne school. Alongside the church is a First World War memorial flanked by four artillery shells. A short distance away, in the middle of a crossroads, stands a cross recalling the past. The plinth is mounted on a base with a skull on each of the four corners and four sculpted angels, plus a small altar resting on two pillars. The plinth supports a wrought iron cross dating from 1676. To the east of the village there is a brick-built wash-house recalling the everyday life of locals in the late 19th and early 20th centuries. Sheltered by the nearby communal forest, Bouilly stands on the outskirts of Pays d’Othe to the west, and the Troyes plain with its vast expanses of cereal-crop farmland to the east and north. Bouilly is a tranquil place complete with traditional houses. Popular with lovers of the great outdoors, it boasts stunning tree-lined hills, picturesque, peaceful footpaths (including the “sentier des moutons”, or sheep trail), and the Site de Montaigu nearby. Its history dates back to the Gallo-Roman era, when it was known as Buliacum (or “the village where Bullius lives”). Bullius was presumably someone of particular importance at the time. The Via Agrippa – a famous Roman road – marks the commune’s eastern boundary. In feudal times, Bouilly was controlled by the Counts of Champagne and various religious orders. There was once a castle overlooking the Site de Montaigu, where residents of Bouilly and the surrounding communes would have kept guard and performed manual work. The castle enjoyed mixed fortunes and was demolished at the order of Charles VII shortly after the signature of the Treaty of Troyes on 3 June 1420. The area is steeped in myth. Legend has it that the “Chair Salée”, the ferocious winged dragon of Troyes, lived on Mont Doux close to the village. An oversized well marked the point where the dragon would rise up to the surface from Hell. This pretty village features several historical buildings. The Latin cross-shaped church, dedicated to Saint Laurent, was built in the 16th century and became a listed Historic Monument in 1909. The interior features many notable pieces, including a 16th-century oak altarpiece depicting the life of Saint Nicholas, plus a magnificent, multi-coloured limestone statue of Saint Marguerite – one of most prominent pieces of Champagne-region sculpture. The original brick wash-house, built in 1861, still stands in the centre of the village. It was a hub of everyday life – especially for local women – right through until the middle of the 20th century. It has now been converted into a plant room. A short distance away is the present-day town hall, built between 1880 and 1882. The building is typical of 19th-century town hall architecture during the Republican period. The war memorial, commemorating those who fell in the First World War, stands in front of the town hall. The village of Thennelières, 8 km east of Troyes, is the gateway to the Forêt d’Orient Regional Nature Park and the Balcon du Lac route. Records of the village date back to the 9th century, when it was known as Tanoclaria. Its heyday came in mediaeval times, when it was an important manor owned by a succession of three families – the de Dintevilles, the de Canillacs and the de Nobles. It then passed to the Paillot family, which made it a county seat under the name Paillot. There are records dating back to 1338 of a castle surrounded by deep moats, which protected the area around the city of Troyes. Records indicate the castle was still standing in 1767. The village acquired its present-day name, Thennelières, in 1790. By then, the castle had gone. All that remains are the ruins of the manor farm. The village was ransacked by the enemy side during the campaign in north-east France, in February and March 1814. In the centre of the village stands the church, dedicated to Pope Saint Leo II. The Romanesque nave dates from the 10th and 12th centuries, while the choir and transept were added in the 16th century. The entire church was restored in the 19th century. Its steep bell-tower and pitched roof, coupled with the timber-framed canopy and cut stone, give it a certain rustic charm. The 16th-century stained-glass windows, listed as Historic Monuments in 1908, are prime examples of southern Champagne glasswork from the period. Some were donated to the church by the famous de Dinteville family. The church once held partial remains of one member of the family – the hearts of Gaucher de Dinteville and Anne du Plessy rested under a black and white marble plaque with copper inlay, dating from 1531 and listed as a Historic Monument. They were later moved to Polisy church. The church’s most striking feature is the stunningly realistic recumbent statue of Louise de Coligny dating from the late 16th century. The statue, made from white marble, rests on a black marble plinth. Thennelières is a pleasant place to live, combining preserved nature and heritage with a thriving local economy, all against the backdrop of the peaceful countryside and the bustling city close by. The brick and beam-built homes are typical of the Aube countryside, and are interspersed with more modern buildings.